I was graciously invited to participate as a guest in an ongoing conversation that, in my view, is of pressing urgency. This conversation centers on the topic of “ecclesial theology” and on the vocational identity of the “pastor-theologian.” Dialogue of this sort is underway in a number of circles these days, but hosting the particular chat I got to be a part of is SAET (pronounced “sat”): The Society for the Advancement of Ecclesial Theology. The organization comprises two “fellowships,” the first of which meets in the Fall with the second (which I attended) meeting in the Spring. Each fellowship consists of around 15 youngish pastors who are grieving a number of ailments they see as rampant within the church. These problems include widespread theological and biblical illiteracy, the intellectual brain drain of the church’s brightest ministers into the academy, the anti-intellectualism so common among our pews, and the gaping divide between the scholarly disciplines of biblical studies and theology. Each fellowship includes a “Senior Theological Mentor” (Dr. Scott Hafemann for the first fellowship, and Dr. Douglas Sweeney for the second). Joining the fellowships is also a senior theologian whose written works set the tone of the discussion at the annual meetings. Dr. Kevin Vanhoozer has been serving in this capacity. We read his magnificent work, The Drama of Doctrine, to set the stage for the dialogue. And that dialogue is both informal (over coffee and meals) and formal (through paper presentations and responses). The pastors in attendance have a number of graduate degrees, many of them doctorates, and all of them are committed to writing on behalf of the church. Central to SAET is the conviction that theology is most true to its form and intent when it is done not only for the church but also within the church. Over the past few centuries, theologians have sensed their discipline becoming evermore irrelevant within the sphere of intellectual inquiry—who needs theology when biochemistry yields vaccines, when business management yields increased profit margins, and when theology seems to promote little for humanity beyond petty disputes? Most of the oldest, most prestigious Western universities were originall founded to train clergy, but the academy and church have long since divorced, to the marginalization of theology and the secularization of biblical studies. To ensure theology’s place within the expanding range of courses on offer at the increasingly secular university, theologians began plying their craft in such a way that the concerns of the academic classroom overrode the concerns of the church sanctuary. 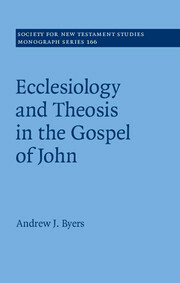 Ecclesial theology is theological work done within the context of the church. SAET is not calling for the end of academic theology—there is a strong appreciation among these young pastors for those believing theologians who are serving Christ’s kingdom in universities, seminaries, and divinity schools. But for SAET, theology is most robust and helpful when conducted within the chapel than the ivory tower, within the parish than the campus. A theologian whose instruction occurs in the university classroom and whose students are 20-somethings will inevitably have to address a certain range of concerns dictated by that unique (and rather artificial) context. 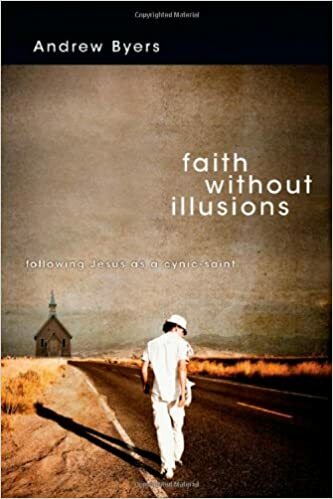 A theologian whose instruction occurs amidst the struggles and joys of a multigenerational community of faith called to live out their faith in the world will inevitably have to address concerns pertaining to the inherent realities of local church life. The relocation of theology into the church also occasions a redefinition of who it is that is most competent and qualified to do theology: the “pastor-theologian.” Gerald Hiestand, SAET’s Executive Director, has an interesting piece on the social location of the pastor (in the church) which is uniquely qualifying for theological work. The idea of a pastor-theologian draws from an older model of the ministerial vocation. The role of pastor today has been expanded to include a range of responsibilities that reflect a variety of secular, Western concerns. This expansion of the pastoral office (to involve fund-raising, program coordinating, business managing, etc.) has in some cases diluted the theological competence of those of us leading churches. Pastors are not often hired for their expertise in understanding Athanasius, Augustine, biblical Hebrew, early Jewish eschatologically, or the historical creeds of the church. But as a number of studies are suggesting (see Christian Smith’s Soul Searching and Kenda Creasy-Dean’s Almost Christian), our younger Christians are growing up in church then leaving for college or the work-force without a compelling enough vision of God and without the ability to articulate the the theological wonders of their faith heritage that Christianity gradually recedes from being a meaningful part of their lives. Our churches today are in dire need of pastors who can provide competent theological leadership, who can preach the texts of Scripture with excellence and with the interpretive traditions of our greatest theological forebears and exegetes ringing clearly in their ears. The pastor-theologian should also embrace the role of “public intellectual.” This was suggested by Vanhoozer who recognizes that the pressure for specialization in the academy has made the competent generalist an endangered species. 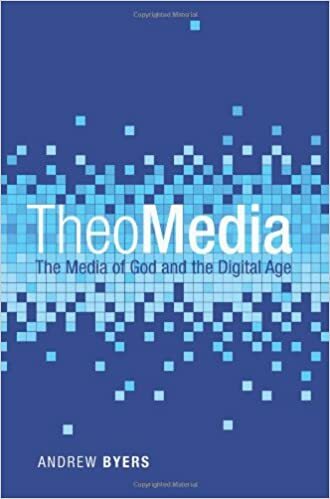 Since theology encompasses every fiber and every star, every twig and every skyscraper, then the pastor-theologians should have a wide-ranging grasp of how God enlivens (or impinges on) every dimension of life (politics, literature, sports, language, pop-culture). I am so honored to have been SAET’s guest this past week. My own conceptions of pastoral ministry, biblical scholarship and theological studies are quite in line with theirs, and being able to interact with them has given sharper focus and deeper passion for my own vocational pursuits.